Zoo Records is an independent CD store in Hong Kong, dedicated to breaking the monopoly of mainstream music, and exposing the public to the world of alternative sound. In Hong Kong, there’s only entertainment. There is no music industry. Television, radio, and other major channels are dominated by giant record labels. But somewhere in the city, the sound of independent music is hiding, waiting to emerge. Leo Burnett Hong Kong took 14 indie bands and embedded their songs and profiles into 14 different QR Codes. 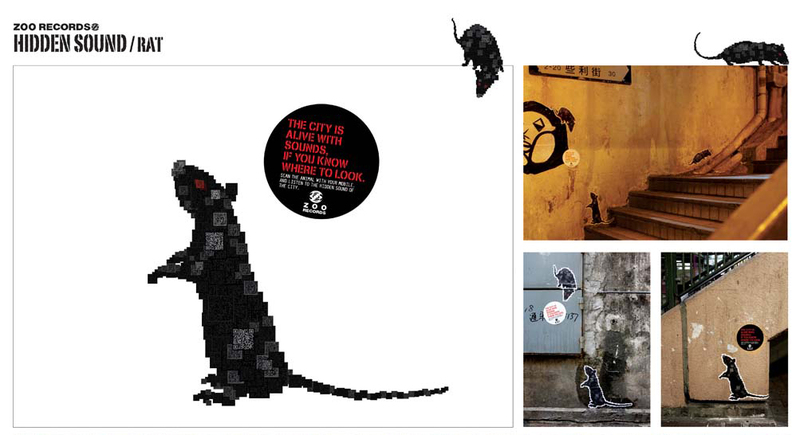 These were then assembled into the shapes of animals that live hidden in the city, and posted all over Hong Kong. People who scanned the QR Codes in the animals with their mobiles were rewarded with band info and refreshing new songs. 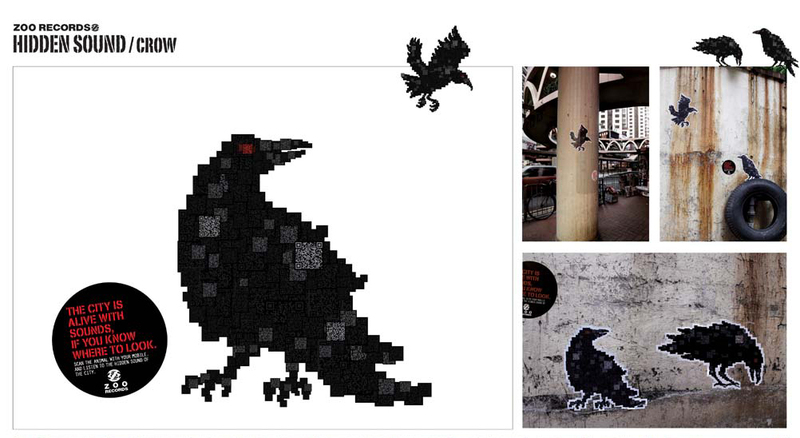 By scanning different parts, they could listen to different songs, exploring all the hidden sounds of the city. They could also buy any of the songs directly from their mobile, as well as share it on Facebook and other social media. The campaign led to many people sharing their newly discovered music on Youtube, Facebook, Twitter and personal blogs. More than half of the 14 bands sold out their albums within the first week, helping more people uncover the hidden sound of the city. The campaign won a Gold Direct Lion at Cannes International Advertising Festival. The campaign also won a Silver Lion in the retail and e-commerce category, a second Silver Lion for poster design, and a Bronze Lion in the Promo and Activations category. 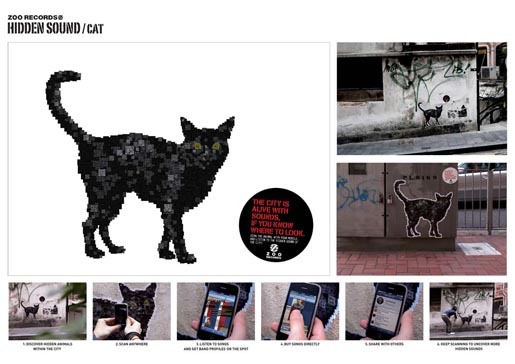 The Hidden Sound campaign was developed at Leo Burnett, Hong Kong, by executive creative director Connie Lo, group creative director / art director Brian Ma, creative director / copywriter Alfred Wong, copywrtiers Wen Louie, Joey Chung, Cyrus Ho, art director Kenny Ip and Leo Yeung, account manager Matthew Kwan, retoucher Tommy Cheung.